Gun Silencer. Your Hearing Protection. 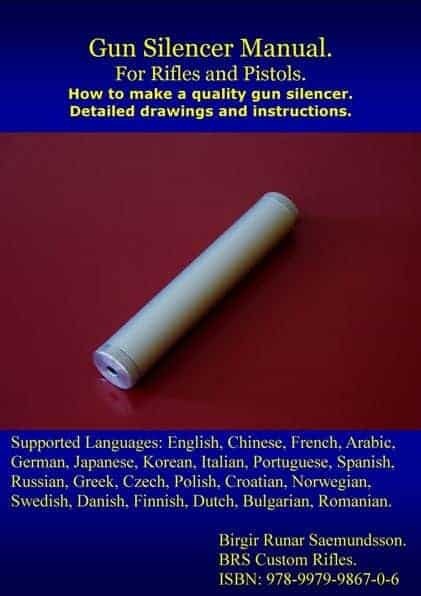 Gun Silencer Manual e-Book, instruction in how to make a homemade silencer, for rifles cal. 22 long rifle, 22 mag. 22 Hornet, 222 Rem, 223 Rem, 22/250 Rem, 243win, 2506 Rem, caliber.6.5 mm , 270 Win,7 mm Rem Mag, 7.62 X 39 Russian, 7.62 x 54R , 308 Win, 300 Win Mag, 375 Mag, 458 Mag.Pistol , 7.62 Nagant ,cals. 9 mm, 9 x 18 Makarov, 357 mag, 44 mag, 45. 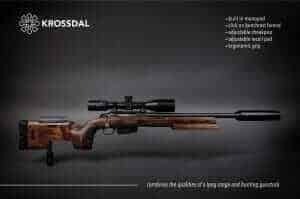 Air rifles and pistols, other guns of all calibers, up to the larger magnums. Complete blueprint drawings,instructions, and installation information, of building homemade silencer professionally. Silences completely, with subsonic 22 ammunition. 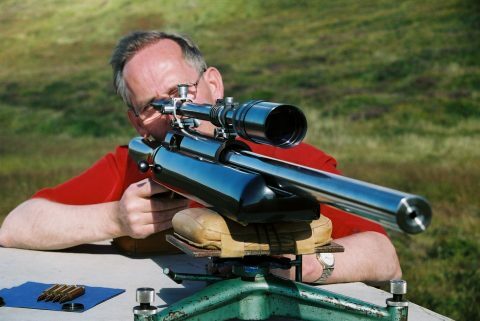 Complete instructions of how to fit to muzzle end of barrel on rifle or pistol. Body measurements: Length 6 inch X Diameter 1.2 inch. EXCELLENT HEARING PROTECTION FOR RIFLE AND PISTOL SHOOTERS. HELPS YOU TO KEEP HEALTHY HEARING INTO OLDER AGE. This homemade silencer design is excellent, for paintball, and air soft guns, and is simple to clean and maintain. Complete Muzzle Flash Hiding with this homemade gun silencer. Customers can customize the size of this gun silencer, to their needs. It is simple and easy to build this silencer design, and install, much easier than you might think! Download digital Adobe e-Book with silencer blueprint drawings, and installation instructions. ADOBE 128 Bit Encrypted PDF Document Password Protected. It is convenient for you to download and print out drawings,and instructions, instead of hard or soft book, and have it on your workbench, or work aerial, while you are making gun silencer. English, Chinese, French, Arabic, Dutch, Finnish, German, Japanese,Korean, Italian, Danish, Portuguese, Spanish, Swedish, Norwegian,Greek, Croatian, Czech, Polish, Russian, Bulgarian, Romanian. Buy Now only $ 14.95 Click Here. 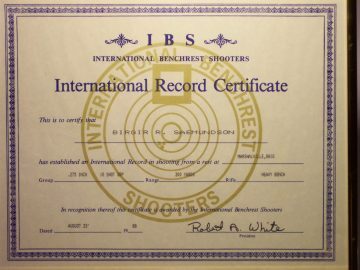 Certificate of World Record HB Class. 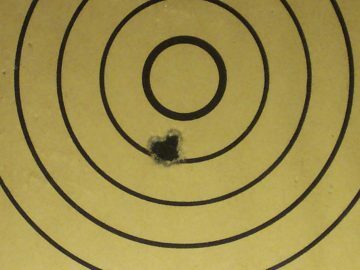 Shot with Custom made Heavy Bench Class rifle made by B.R.S. Custom Rifles. IBS Nationals Ohio USA. World Record Group at 200 yards for 10 shots in Heavy Bench Class. Set at IBS Nationals 1988 in Ohio USA. 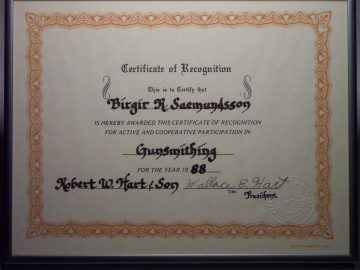 Gun Smiting Diploma. B.R.S. Custom Rifles.